Home › Bitcoin Exchange › How To Use FYBSG For Bitcoin Trading? Hi everyone, Jonathan here with a video on how to use FYBSG for bitcoin trading. This video is meant for people who are living in Singapore and would like to get started in bitcoin trading. Before I go on, let me share with you some background about this exchange. 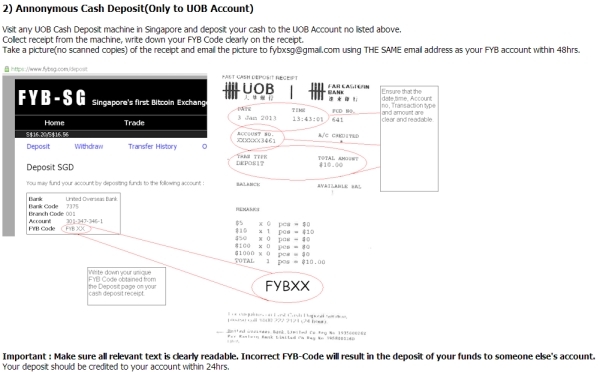 FYB-SG is the 1st bitcoin exchange in Singapore and it was launched at the start of this year. First of all, you need to register for an account. 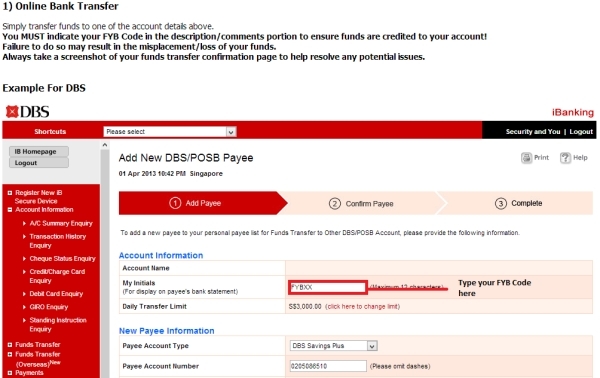 Next, you will receive a verification email in the email account which you registered your FYB-SG account with. Then, you will be required to enter the verification code which can be found below the link which you just clicked along with the email. After you have created your account, you can log in with your email address and password. After you entered your email and password, remember to click on Sign In. This is how the dashboard looks like when you first log in. Before you start trading, you will be required to verify your account by clicking on the Verify Account tab. 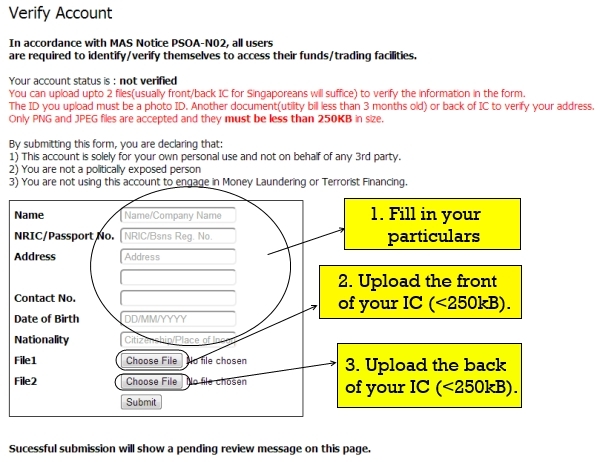 Here you will be required to enter your particulars, upload a scanned copy of your front and back IC to complete the verification. Note: The verification typically takes about a day or so but it is much faster in most cases. After you have verified your account, you can start depositing funds into your account to start trading. 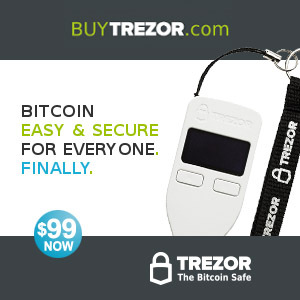 There are 3 ways to fund your account. For online bank transfer and cash deposit, it typically takes less than 24 hours for you to receive your funds. For bitcoins, it will be a couple of hours. After you have received your funds, you can start trading. Here you can select the amount of BTC that you would like to buy or sell based on a certain price. 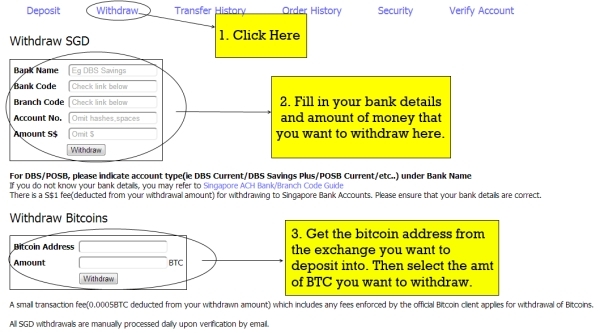 If you want to withdraw bitcoins or money, just click on Withdraw at the top. Then follow the necessary instructions to perform the withdrawal. Under the Transfer History, you will be able to see the deposits and withdrawals that took place within your account. 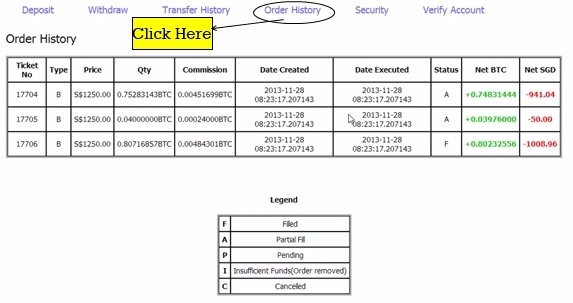 Under the Order History, you will be able to see the trades that took place in your account. 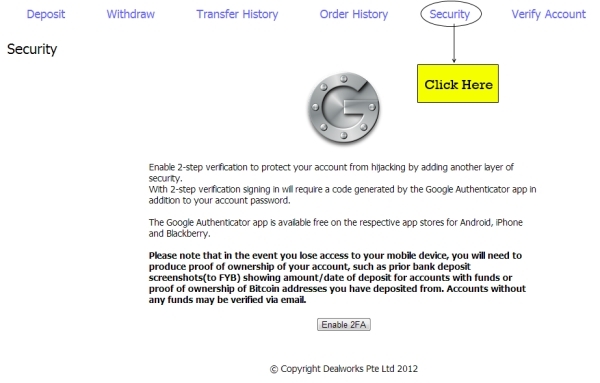 Under the Security, you can enable a 2 step verification to protect your account by clicking on Enable 2FA. 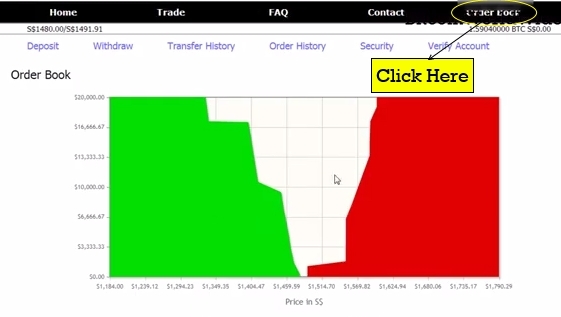 Under the Order Book, you will be able to see the Buy and Sell Orders that took place within the exchange. That’s all guys! If you have any questions pertaining to FYBSG, feel free to ask me. I will be glad to help you out. Note: I am not affiliated with FYBSG. I have used their service and found it very easy and convenient to use. « How To Withdraw Bitcoins From BTC-e?